It is also interesting to note that 6 out of 7 of the most complained about companies during the three-month period each received an average of less than 20 complaints per month, and the most complained about company encountered a service disruption due to technology issues during this period, during which the CFPB took it upon itself to specifically request complaints about this outage through various social media channels. Despite these steadfast efforts by the bureau to solicit prepaid complaints, of the 21,805 complaints the CFPB received in January, just 229 (or 1.1 percent) were in regard to prepaid products. Since the agency launched its consumer complaint report series in August 2015, there have been an average of just 216 prepaid complaints per month. 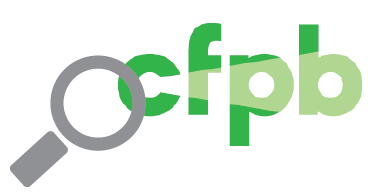 Since July 2011, the CFPB has handled a total of about 4,300 prepaid card complaints, representing 0.5 percent of total complaints, according to the bureau. The most common issues with prepaid products were related to managing, opening or closing an account, which comprised 33 percent of all prepaid complaints the CFPB has received. Unauthorized transactions or other transaction issues made up 29 percent, while fraud or scam complaints comprised 21 percent. Less common were complaints about prepaid fees (7 percent), loading funds (6 percent) and marketing and disclosures (3 percent). Finally, overdraft, savings or rewards features on prepaid products were the subject of just 1 percent of prepaid complaints. “Prepaid products provide a crucial financial lifeline to many unbanked and underbanked households,” CFPB Director Richard Cordray said. “It is important that consumers who rely on this important financial product can do so safely and efficiently, without undue hassles and runarounds.” The CFPB is expected to release its final rule on prepaid accounts sometime this spring.